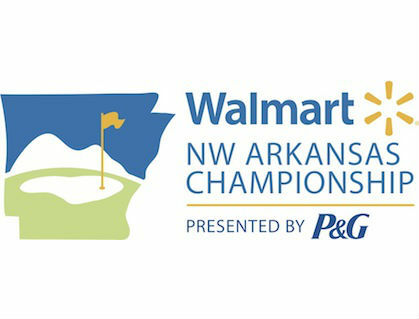 This week the LPGA travels to the state of Arkansas for the playing of the Walmart NW Championship Presented by P&G. Many of you may remember last year's exciting finish when Na Yeon Choi eagled the par four 16th hole, and then birdied the seventeenth hole, in route to a 2 shot victory over runner-up Mika Miyazato. This is a 54 hole tournament. This will be tournament #18 of 33 on the 2016 LPGA schedule. My strength of field rating is a solid 72.5% (down from last year's 81%). Thirty-nine of the top 50 players from the LPGA Priority List, and 18 of the top 25 players from the Rolex Rankings will be in attendance. Headlining the field will be the #1 player in the world Lydia Ko, and the #2 player Brooke Henderson. The field will also include the following highly ranked players: Sei Young Kim (#5), In Gee Chun (#6), Ariya Jutanugarn (#7), Amy Yang (#8), and Stacy Lewis (#10). Players missing from this week's field include: Inbee Park, Lexi Thompson, Ha Na Jang, Shanshan Feng, Anna Nordqvist, and Suzann Pettersen. Here are the pairings for round 1. My spot on picking of last week's tournament brought me my 4th victory in the last eight weeks. I currently reside in first place for the season among the 21 participants. In spite of Stacy Lewis' current struggles, she has made the cut in 111 of her last 112 tournaments. Brooke Henderson has never missed a cut as an LPGA member. She has made the cut in all 20 of the tournaments she has played in. Carlotta Ciganda soars up 19 spots this week to #35. Lydia Ko continues to lead with 2,737 points. She is followed closely by Ariya Jutanugarn with 2,336, Sei Young Kim with 2,087, and Brooke Henderson with 2,019. Gerina Piller drops from #15 to #16 in the Rolex Rankings this week, dropping her off the American team. She still has 3 more tournaments to regain the top 15 position needed to qualify. Lydia Ko and Lexi Thompson both had top ten finishes this past week. It was the eighth of the year for both players. That is only topped by Brooke Henderson's ten. In spite of her problems "finishing the job" on Sunday afternoons, So Yeon Ryu has 6 top ten finishes in her last 8 starts. Ilhee Lee has failed to finish in the top 30, in her last 13 starts. UPDATE #1 - The Monday Local Qualifiers were - Alena Uriell (a) who shot a round of 64, and Regina Plasencia (a) who shot a 69. Be sure to check back here daily for any LPGA news or updates.They will be posted here at the bottom of this blog. Links to all Women's Tour scoreboards can be found at the top of this page. Congrats to Sei Young Kim and Jiyai Shin on their victories this week. Unfortunately, Brooke M's cut streak has ended but it will be the beginning of a new one next week at the Cambia. Also, congrats to Jing Yan who hung in there then eagled the 18th to earn a T4! Final 2016 International Crown Team Announced!